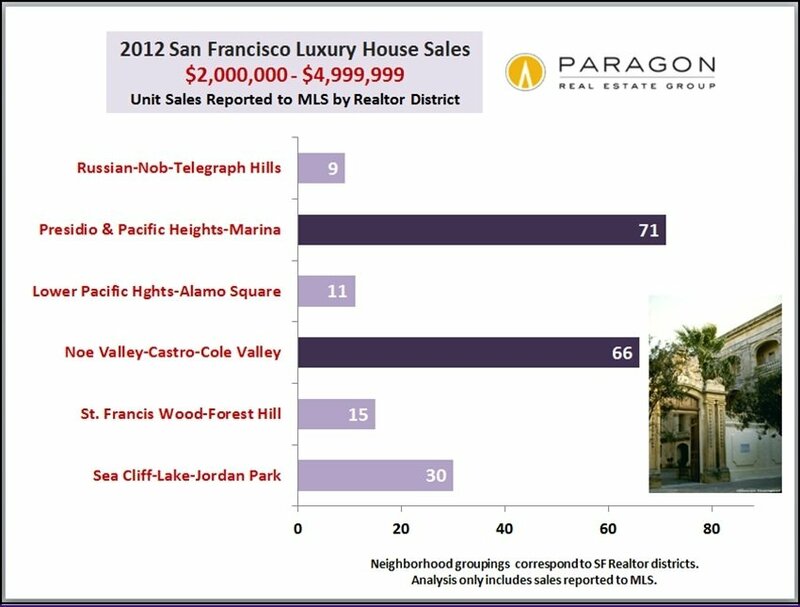 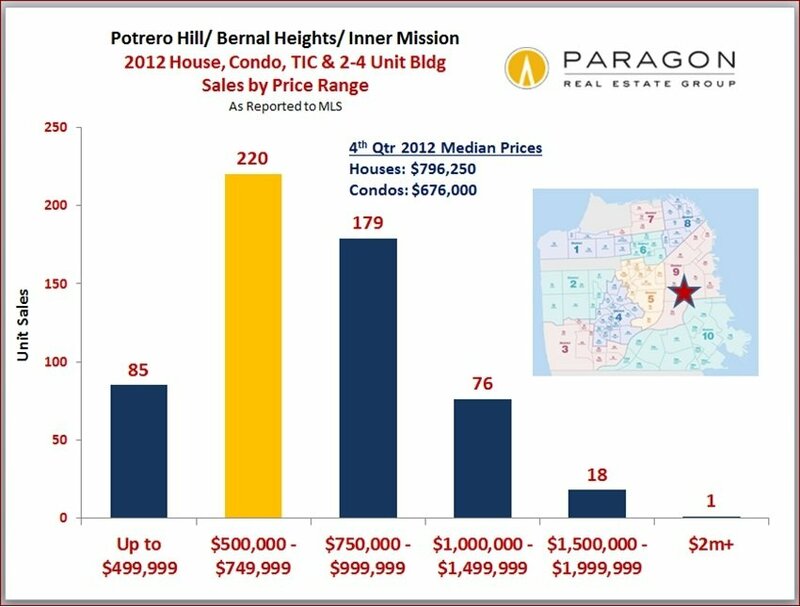 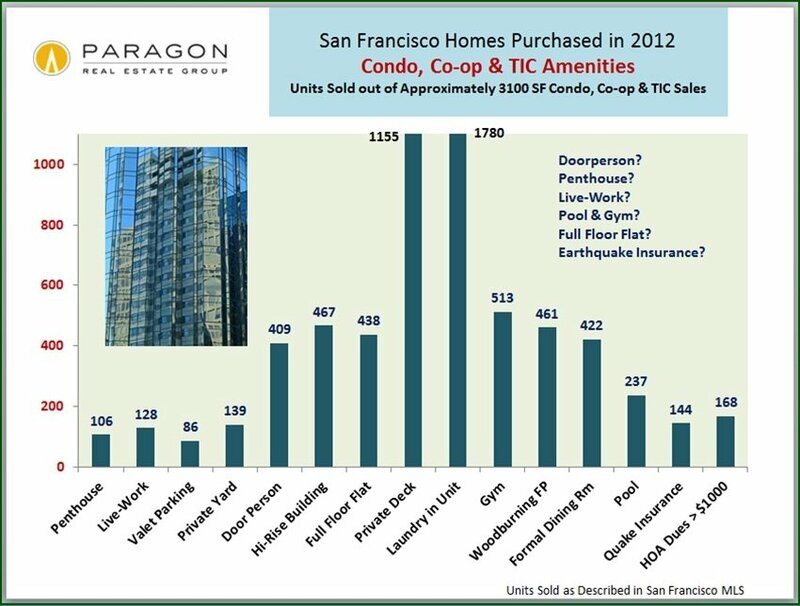 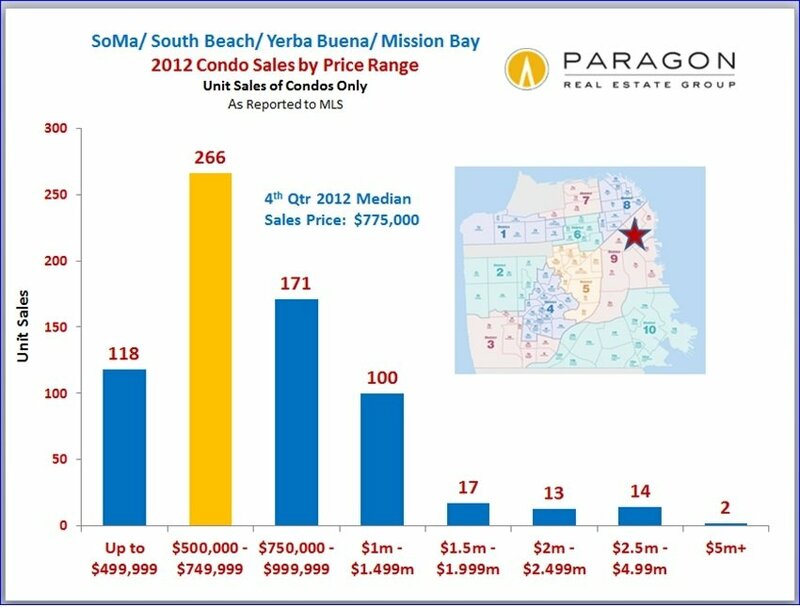 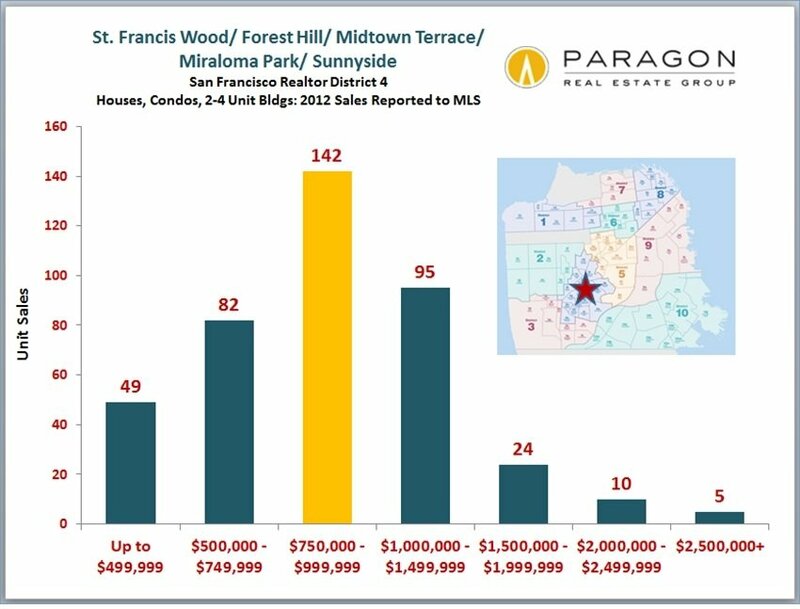 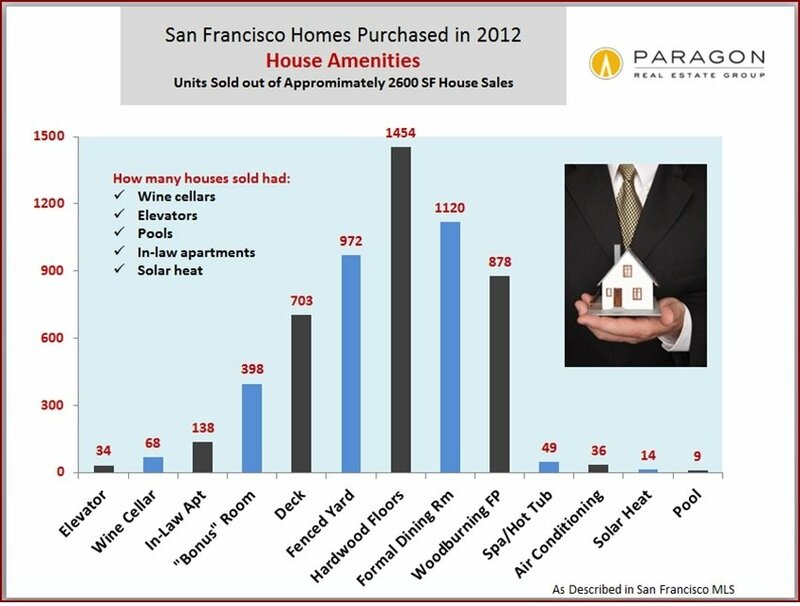 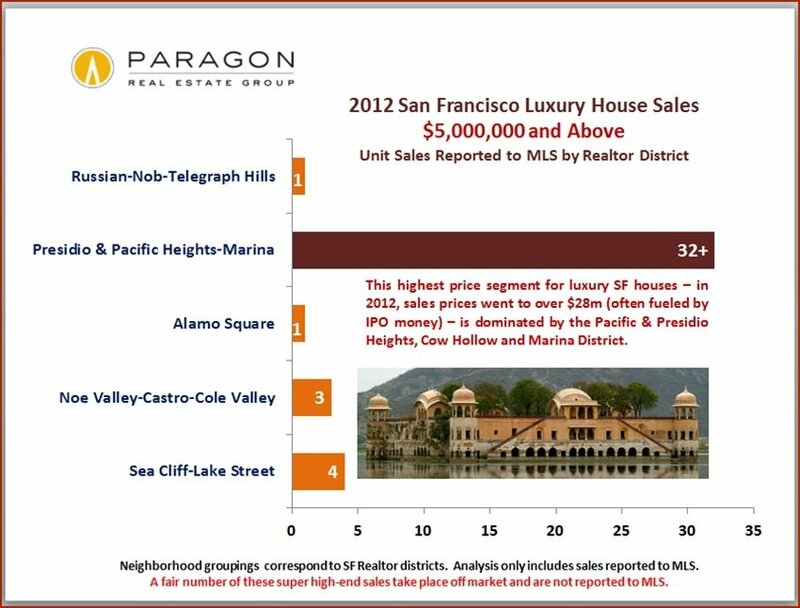 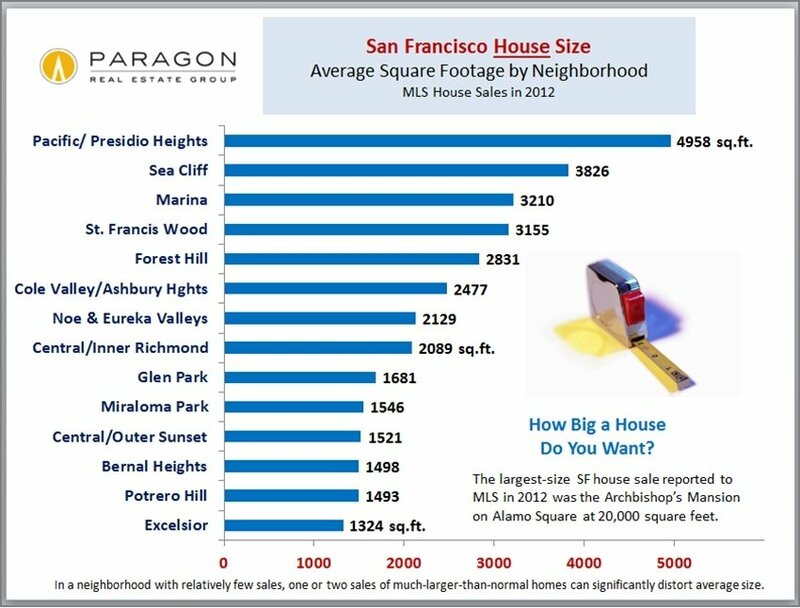 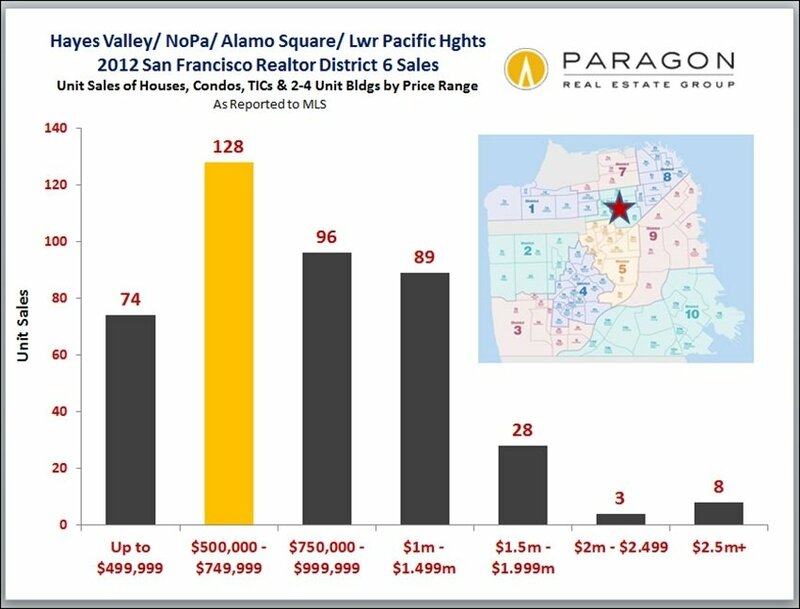 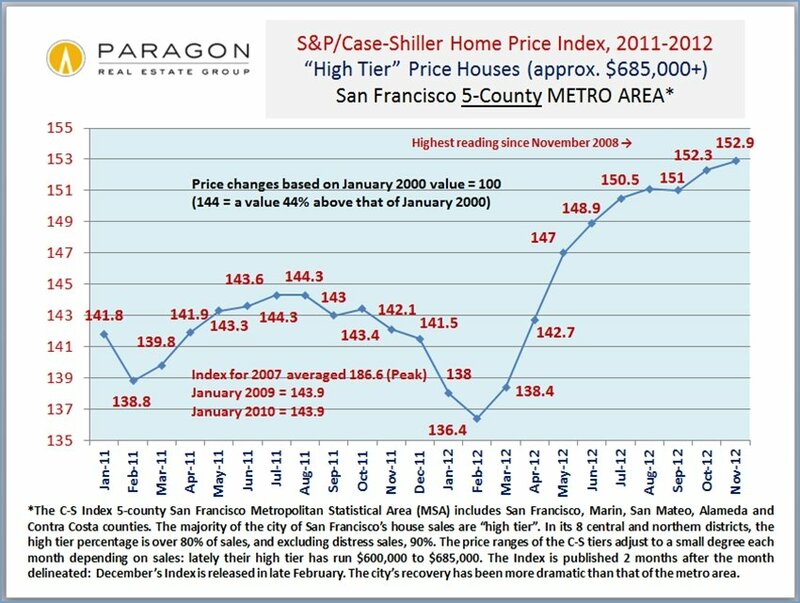 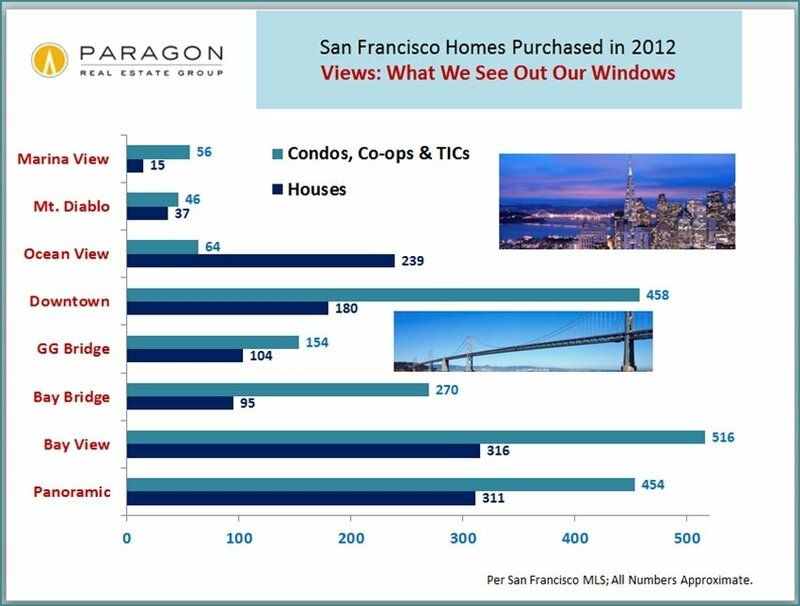 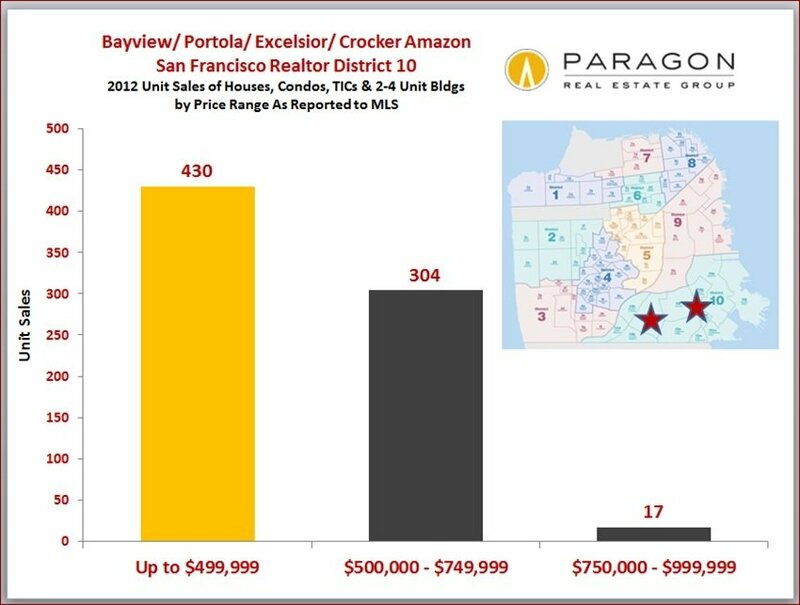 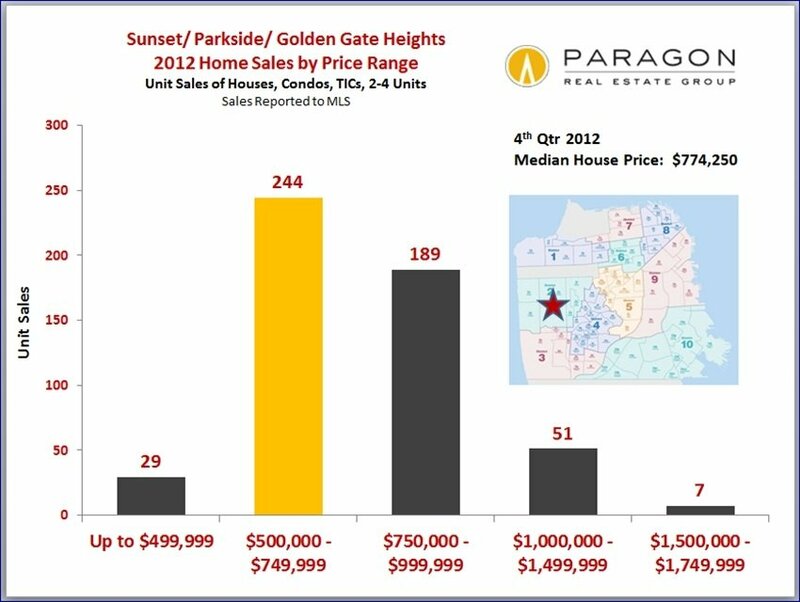 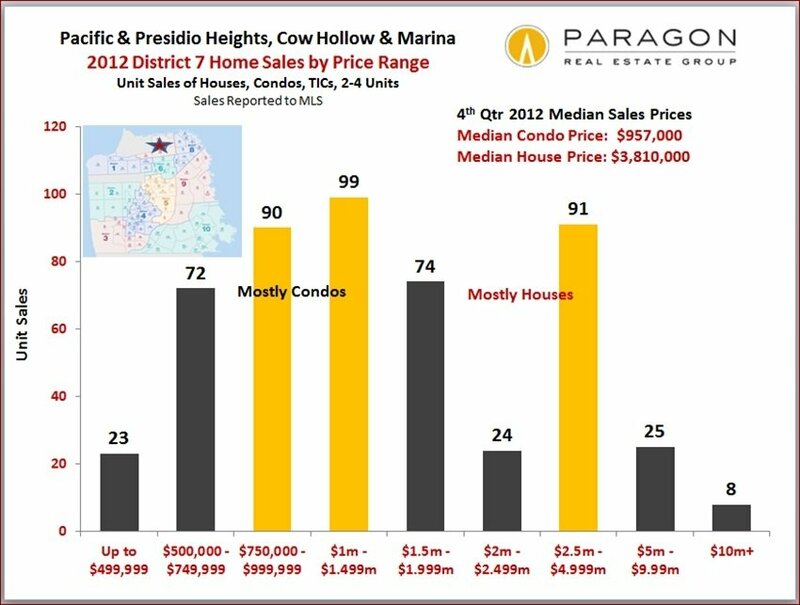 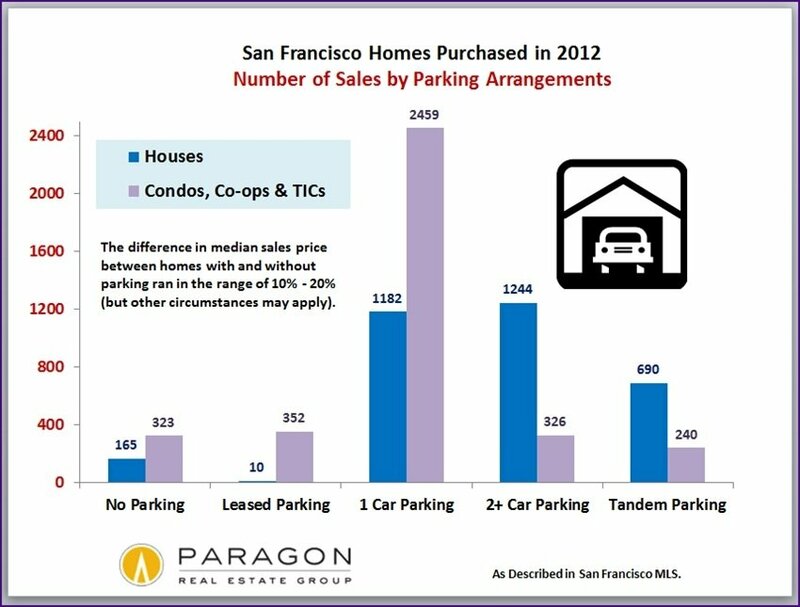 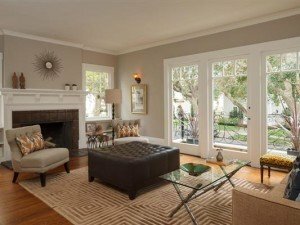 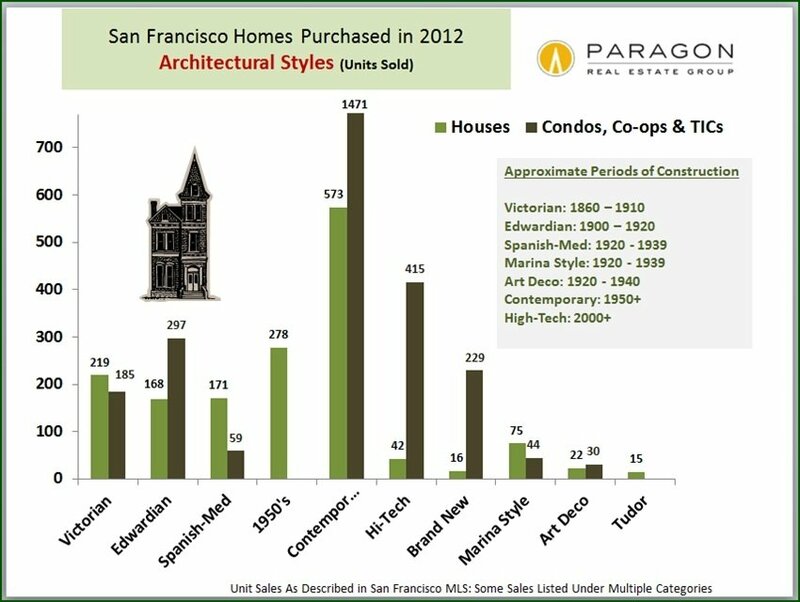 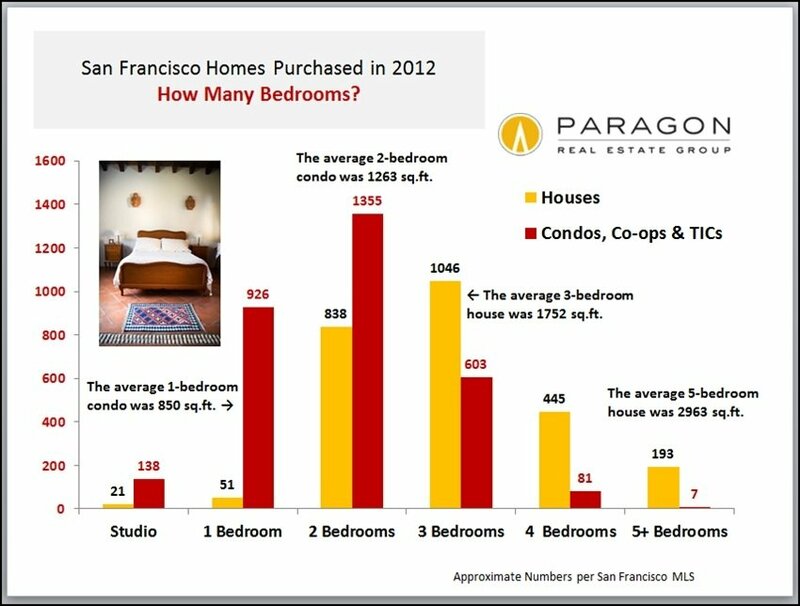 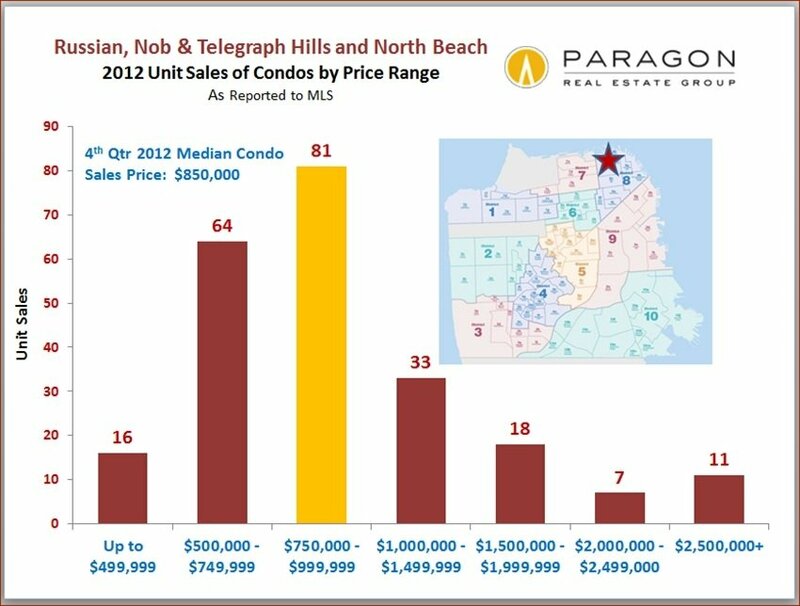 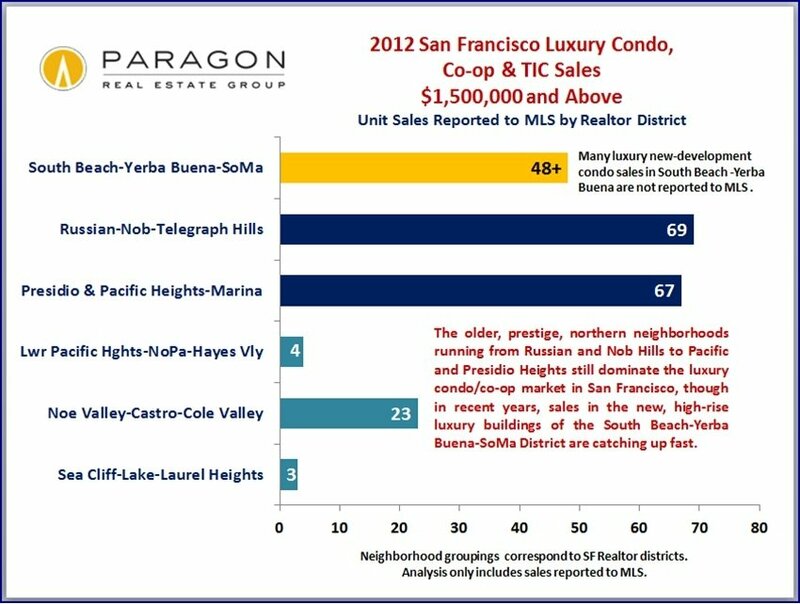 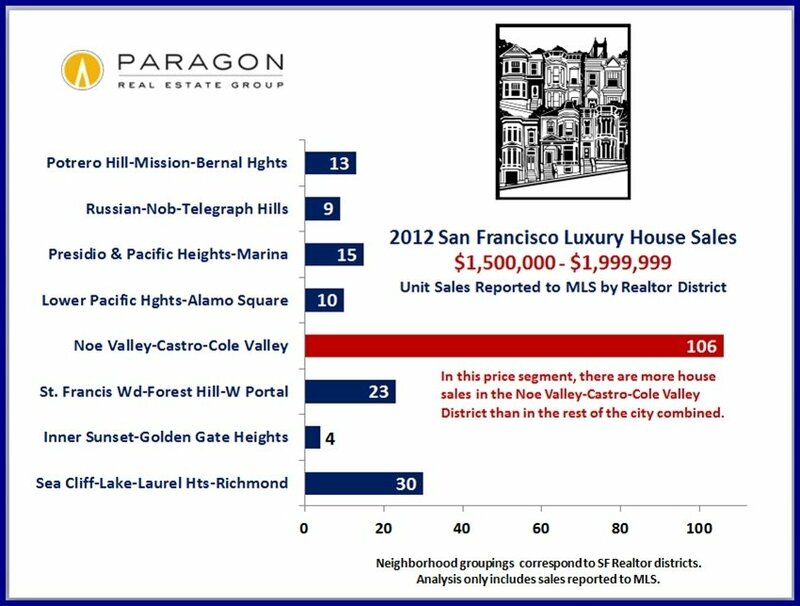 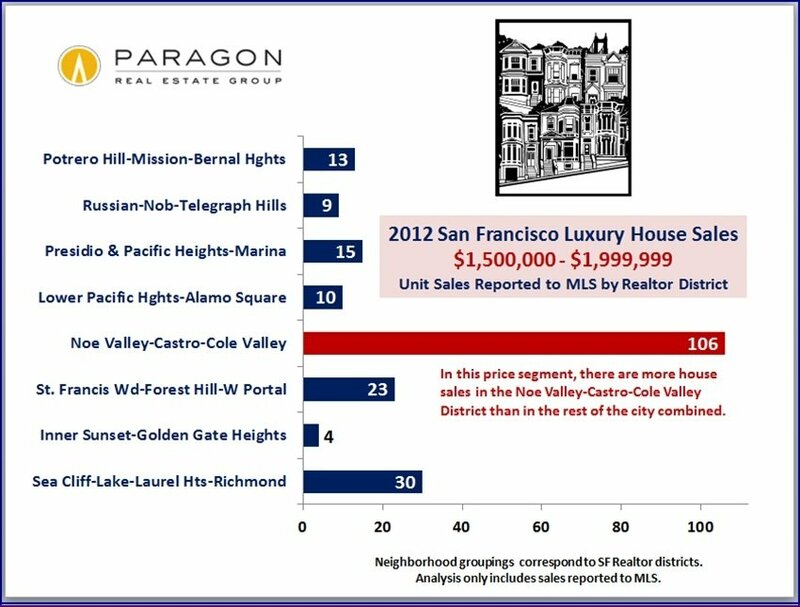 Overall median and average prices only give so much insight into the mix of homes sold in a particular area of the city, so these charts delineate the actual quantity of sales in specific price ranges within Realtor districts and neighborhoods around San Francisco. 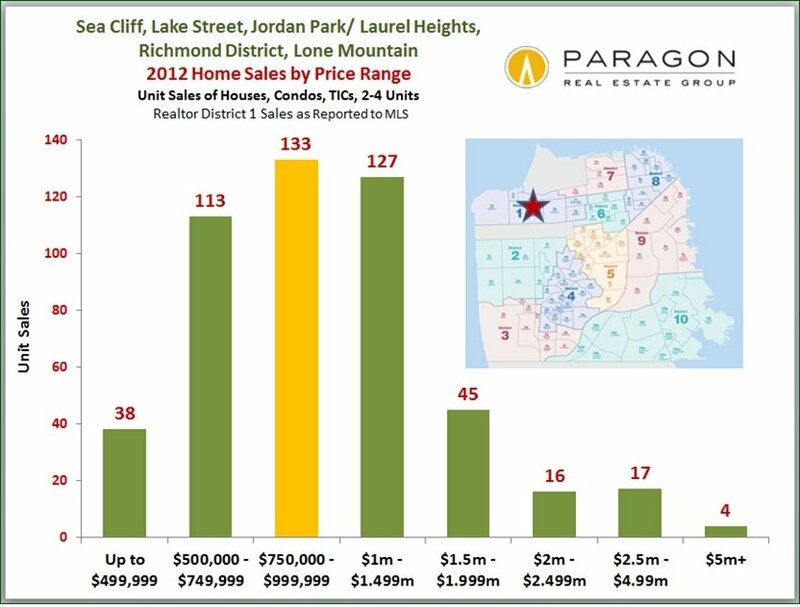 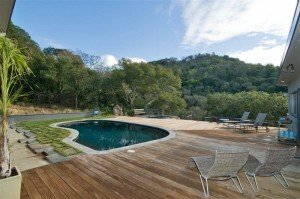 If you’re looking to buy, it will give you a better idea of the number of purchase options within your price range in the areas you’re considering. 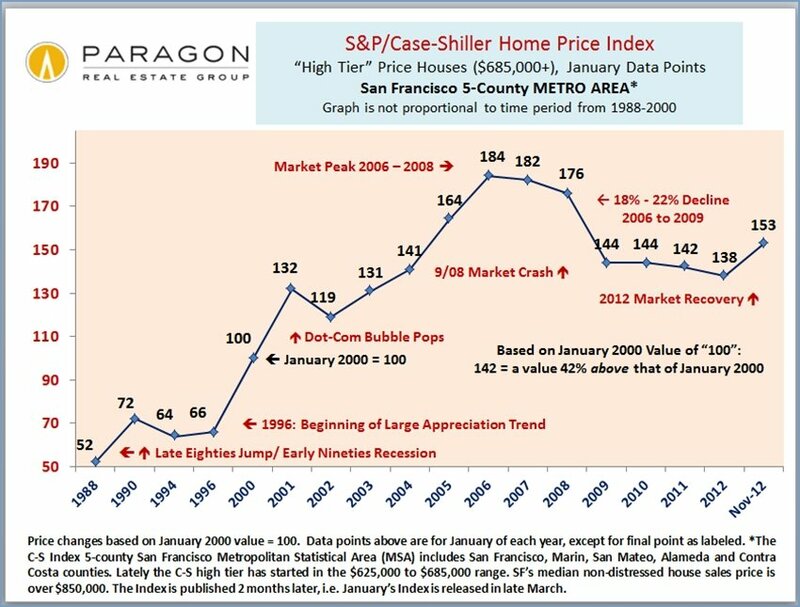 If you looking to sell, you’ll understand better where your home and its asking price would fall within the general curve of values in your neighborhood. 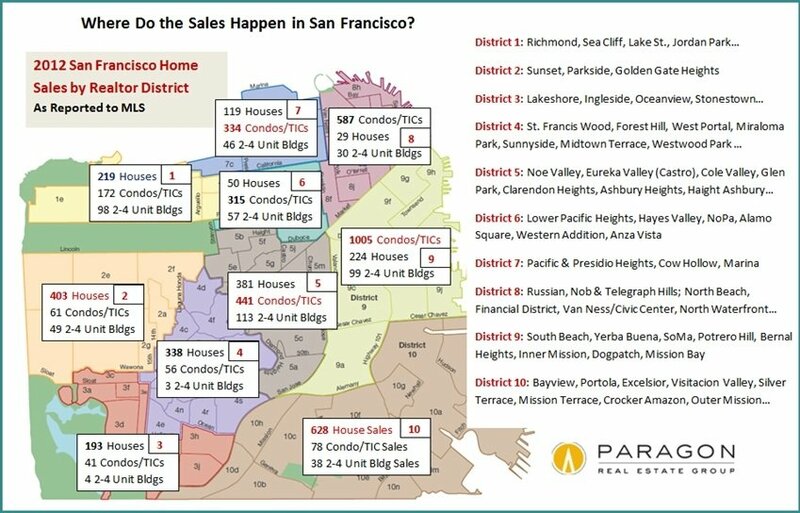 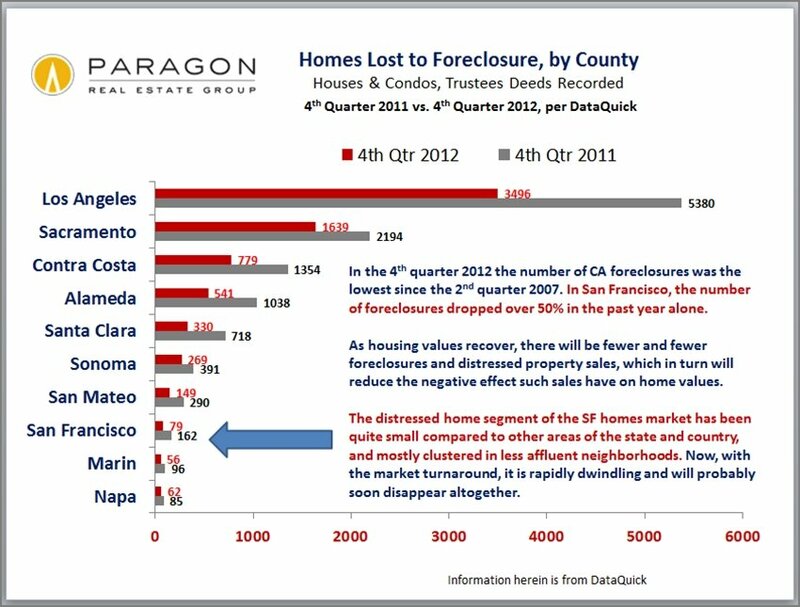 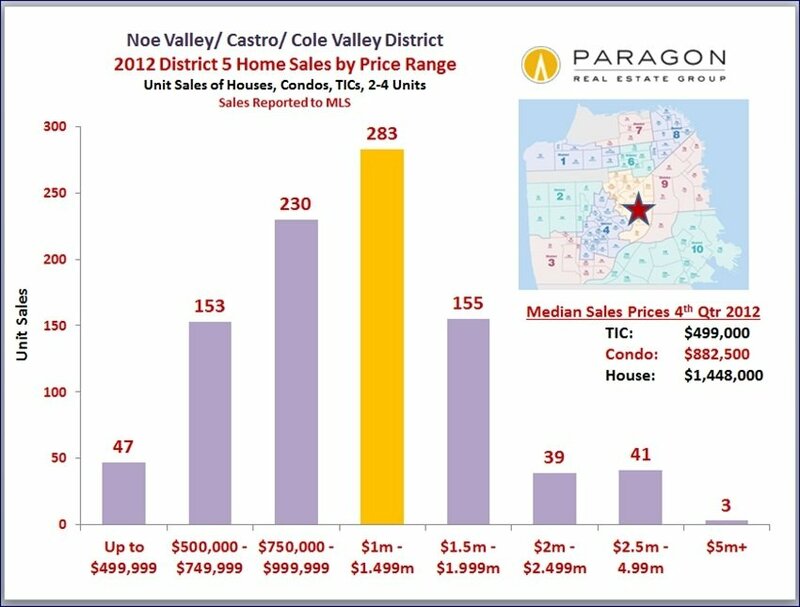 Please note that within a single Realtor district are often located multiple neighborhoods of widely different home values.